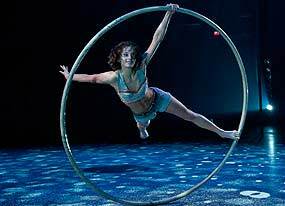 Over the years, shows starring the National Circus School students have become major circus events and a highlight of the Montreal cultural calendar. Small wonder, since these performances provide a unique chance to see artists from the four corners of the globe who have come to Montreal to train at the leading contemporary circus school! On the program: juggling, Icarian Games (foot juggling), trapeze, cloud swing, balancing, Chinese pole, hoops and many, many more!